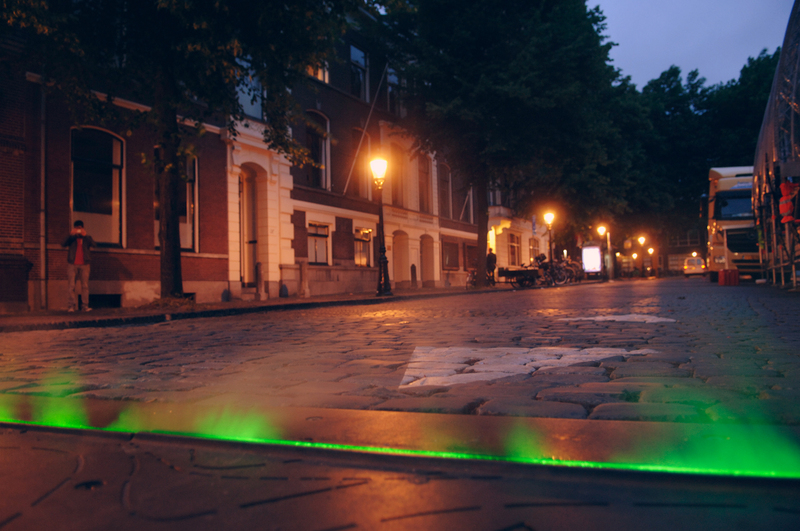 Beneath the pavement of Domplein (Dom Square) lies the foundation of Utrecht. Two thousand years ago, soldiers stood guard here in castellum Trajectum, protecting the northern border of the Roman Empire. 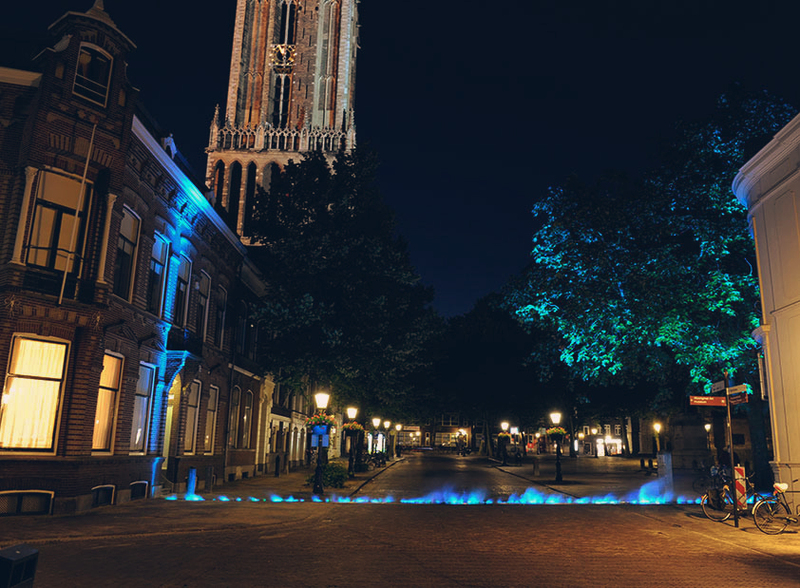 At nighttime, discover the former location of the walls of this fortress through mysterious projections, which light up the mists of the past, every fifteen minutes (untill 21:00) around Dom Square. Mapping out Castellum Trajectum is a project by the Domplein 2013 Foundation. The innovative design is courtesy of the renowned OKRA landscape architects.